The Boston Bruins announced today that goalie Tuukka Rask has been granted a leave of absence due to a personal matter. Although there is a lot of speculation online, the organization is stating that the leave is not health related. According to NBC Sports Boston Insider Joe Haggerty, Rask is excepted to be out for a couple of days. “It’s not health related. It’s important to respect his privacy and allow him to deal with it for the next few days”-General Manager Don Sweeney. The news comes after a tough loss last night against the Vancouver Canucks 8-5. Jaroslav Halak had one of his worst performances last night when he allowed five goals on 19 shots before being pulled out of net. Tuukka Rask went in between the pipes early in the second period and allowed three goals on 14 shots. “Long Season. Sometimes you let in more goals than other night. Tonight, more than I would have like, probably more than Jar would have like. Moving on, that’s it…I was just trying to keep it under 10 [goals allowed] — that’s what I was worried about. But yeah, you know, like I said, a loss is a loss, it doesn’t really matter at the end of the day. It was kind of a crazy game both ways. You know, a lot of goals scored and there was – at the end it looked like everyone was napping in the crowd. It was just one of those games where there wasn’t a whole lot of action on either end – low shots and you know all of a sudden it’s 5-3, 8-5 whatever. So yeah, weird game but that’s entertainment and we’re just providing it. Rask is having a tough start to the new season as his record is 4-4 with a goals against average of 3.05 (the highest since 2007-2008) and with a .901 save percentage. The 31-year-old Finland native was part of the Stanley Cup winning team in 2011. In 2013 ,he won the Vezina Trophy as the NHL’s best goaltender for that year. Coach Bruce Cassidy confirmed that Halak will start for Boston this coming Saturday in a game against Toronto. More than likely Halak will pull double duty and continue goal-tending duties for Sunday’s game against Las Vegas. The Bruins will call up Providence goalies Zane McIntrye or Dan Vlader to replace Rask on the roster. For Friday’s morning practice, Rask was not present. The Bruins used emergency back-up goalie Kevin Segee, who is a Massachusetts state trooper. Bruins practice starts 20 plus minutes after 1130 am scheduled time. No Tuukka Rask. Bruins release a statement saying Rask is taking "a leave of absence relating to a personal matter." Whether or not Rask’s personal issues is the reason behind his lackluster performance remains to be seen. While its still early in the season, hopefully the veteran goalie will bounce back. Rask was drafted 21st overall in the 2005 NHL Draft by Toronto before being traded to Boston. 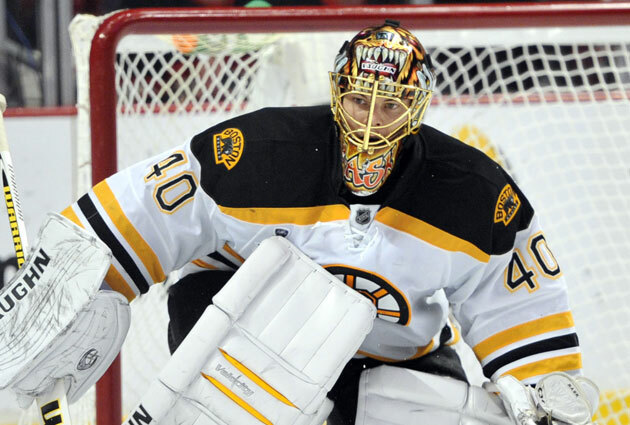 In 2013, the Bruins re-signed the goaltender to an eight-year, $56 million-dollar contract. Do you live in the New England area and want to attend the Boston Bruins games that are being played during the upcoming homestand? Check out the available seats from our advertising partner Seat Giant! You still have 2 GREAT GAMES to choose from (Toronto and Vegas)!!! Click the link below for more details and please use discount code: BNGP if you make a purchase.